House Hunters and House Hunters International - like seeing the way folks live in other parts of the world. Love It or List It - fun seeing the alternatives of remodeling or relocating. Hillary is a bit of a drama queen but the drama often points to the challenges of remodeling. 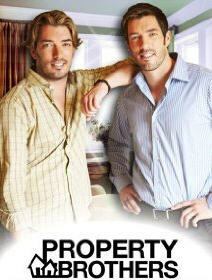 Property Brothers - opens our eyes to the way that a house can be purchased cheap (sometimes anyways) and made to be the house you want. I can relate to fixing up my first home in Jersey. Income Property - interesting how some people will buy a home with the purpose of renting a part of it out. Enjoy the creative ways that rentable space is made to assist with the mortgage payments. Are you a HGTV fan? Have you watched any of these shows? If so which do you like best? Or maybe you like another one of these basic cable tv shows? "Ask This Old House" on PBS is one of my favorites Susan. What makes a Table an Altar? Are you a black and white purist? Why not Think for Yourself? How do you define a Hero? Is hate speech a form of free speech? Did Obama really save GM? Will the Steve Jobs Legacy be Hypocrisy?